I heard something blasphemous the other day. A good friend whom I hold in high esteem, upon hearing that I was considering a column focusing on donuts, suggested I get over to Tim Hortons to try theirs. I have a lot of love for this person, but I was shocked! When did our community, especially considering the fried dough-steeped Italian-American majority in it, begin to accept that chain restaurants were the alpha and omega of this morning confection? Nearly every major food culture has a fried dough among its staples. In China, you might have Cantonese donut holes with your dim sum, Hanukkah in Israel wouldn’t be complete without jelly doughnuts called sufganiyah, and in Greece, instead of powdered sugar, they coat little spheres of fried dough with honeyed water lightened up with lemon juice. And why not? The combo of sugar, dough, and deep fat frying produces a dessert that’s socially acceptable to eat in the morning. What a great concept! We have lots of options of homemade donuts in the north country! Each offering is different, but will start your morning off with far more soul and personality than anything you’ll find from the frozen, factory-produced fry cakes available at either of the two national chains which dot our countryside. My personal favorites since childhood are hot and ready seven days a week on Eastern Blvd in Watertown, at Jean’s Beans. 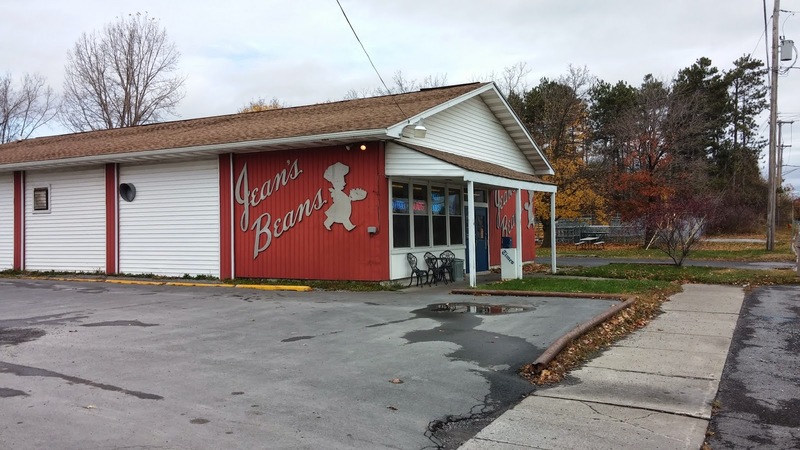 Jean’s was begun in the 1950s in Syracuse, but today, the Watertown store is the last in the empire. Its donuts are made fresh daily, and while they offer raised yeast and filled varieties, it’s the fried cakes I recommend. These deep brown babies have the most aggressive fry of those we’ll cover today, resulting in a crisp, fragile crust with crunchy, sweet nooks that dissolve slowly in your mouth and yield to a moist, barely sweet, toothsome interior. The yeast donuts are sweeter from Jean’s, and I think that’s why I love the fried cakes, which are a hair on the greasy side, but so much more substantial than your standard, airy breakfast pastry. 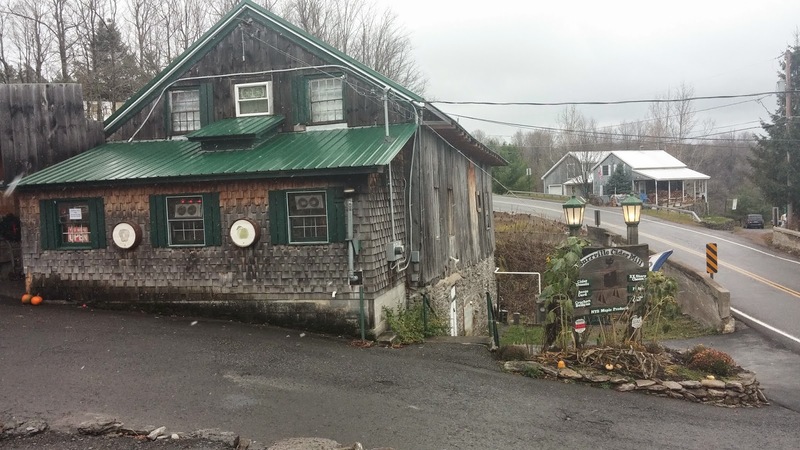 This time of year, The Cider Mill, in Burrville, is ground zero for everyone’s fall cravings. It’s an autumnal destination in our area, and rightly so. You go for apples, hot cider and family photos by the waterfall, but why not pick up a dozen donuts for your office? Bring a gallon of cider along with them, and look out, because a promotion may be on the way. These donuts are more delicate than their cake-style cousins at Jean’s Beans, as well as packing more sweetness from the apple cider in them. 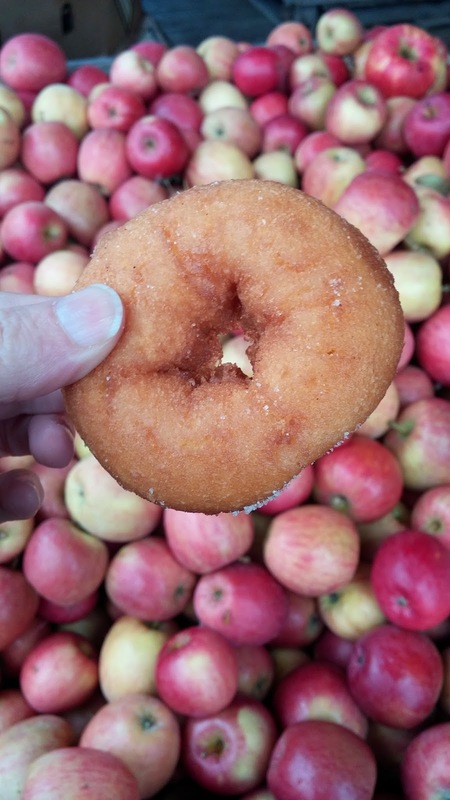 When you bite into an apple cider donut from the Cider Mill, your mouth is flooded with the natural sugars and tang of in-season apples. Your teeth crunch through a light coating of cinnamon and sugar. Half a second later, the airy, light interior collapses into a one-chew experience. They are sweet, but not with the fake saccharine candy-like quality of cheap chain donuts. There’s so much more flavor going on. Also, they have fruit in them, so they’re healthy, technically. Right? Hmm, don’t check in here for medical advice, people. Mr. Rick’s Bakery, on Watertown’s North Side, is another donut institution. I’ve found that the donuts here are best very, very fresh, so go early and go often. The cake style donuts at Rick’s – that’s Mr. Rick, to you – are more crumbly than our other examples. This also means they’re a little less greasy, although that trait isn’t a problem for me at either other purveyor. Frankly, they’re mostly uncomplicated and delicious. This joint is newer than Jean’s or the Cider Mill, so you might not have heard of it, but there are many in Watertown who swear by its breakfast delights. They are handcrafted and available only on weekdays, so get on over to Mill St. and grab a few to dunk in your coffee tomorrow! Homemade donuts also are available at Pearl’s Pastry Shoppe, in Adams, but I’m sad to report I haven’t tried them. I intend to, don’t worry. I have had Pearl's English muffins, and they were fantastic. Fluffy, fresh, spongy, and wonderfully bland - ready for a generous slathering of butter. Frankly, I’m just glad folks down that way have a hometown option in order to avoid the junk from the chains. This is donut season, people! The downward diet slide into the holidays is well on its way, so why not forgo a healthy breakfast for a sweet treat and some stretchy pants? Just make sure to do it with good food made with love by real people, not factory-made dough shipped in from a far off locale. I want to hear about the fabulous fried dough elsewhere in the north country, and I know you all will fill me in on how to fill up. What we do seem to be lacking is the hipster twist now popular in some bigger cities like cronuts, creatively filled yeast donuts and bacon-topped indulgences. I do think Pearl’s has some special flavors it runs, and as I’ve sampled the English muffins there and adored them, it is next on my breakfast list. You’ll hear this a lot from me, but I really do believe that eating local and supporting our food families is important, not only to our economy, but also to our souls. The people of Northern New York are a close clan, and when you nourish your body, even with a naughty treat like a donut, doing so with something created by the hands of a neighbor feels better than just shoving mindless food down your gullet. When you keep your money and your yummy local, your friends and family prosper while you get so much more than just a meal – you partake in the communion of what makes our region so special: its people. Yes, the chains are convenient and consistent, but the food at them is loaded with salt and fat that contribute nothing to the taste; when you eat there, you’re sending your money away from your own hometown. Keep it delectable and eat it local, folks. Growing up, our local bakery, long since gone, had real cream filled donuts. Just divine!! I want one now!